Established in 2013, the Saudi Super Cup is a pre-season football match held the week before the season begins in Saudi Arabia every year. It is contested by the winners of Pro League and King's Cup from the previous season. 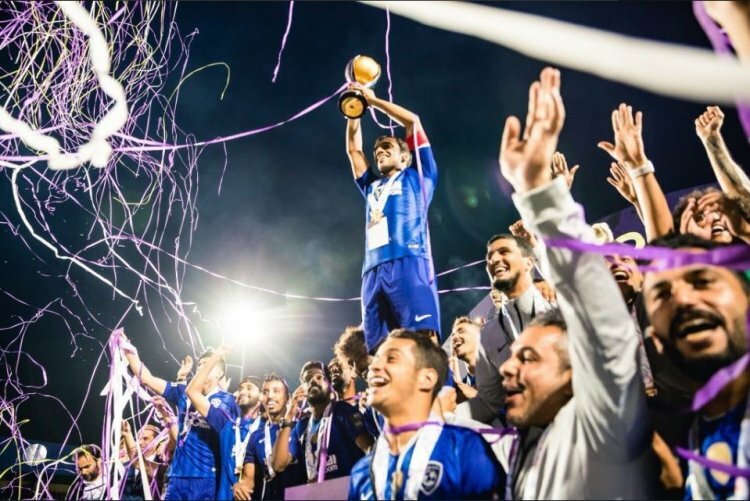 For the third year, Confetti Magic were asked to provide streamers and flames to mark the moment the cup was lifted by the winning team Al-Hilal who beat their opponents Al-Ittihad 2-1. With only an eight-minute time slot to get everything onto the pitch and strict instructions not to leave marks on the pitch, a team of fifty volunteers were briefed to play their part in carrying and building the winners stage and to get all the effects into place and tested. At the given moment, an initial hit of 10-meter-long streamers were fired over the winning team as a line of five sequenced flames and fireballs danced behind them. The colour continued with further shots of streamers from our eight shot remote control cannons leaving a carpet of colour for the perfect photo opportunity. All the equipment we used was chosen to be self-powered and wireless remote control to eliminate the need for power and control cables. We simply placed it in position, switched it on and were ready to go on cue.